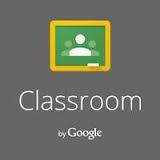 In yesterday’s post I mentioned that a school cannot use Google Classroom by itself, it for part of a suite of apps that your school register for. Today we are going to explore what those apps are. Google Apps for Education, also know as GAFE, is a suite of applications that Google offer to schools free of charge. Once your school has registered as a GAFE school, each person receives a Google Account, which gives them access to all the Google Apps. However, the school administrator has the option to de-activate some of the apps, depending on the school’s needs. All these apps are cloud-based, which means you can access them from any device at any time. This makes GAFE a favourite with Bring your own device (BYOD) schools. GAFE consist of a core set of apps, Mail, Drive, Calendar, Classroom, Docs, Sheets, Slides and Sites and then some additional apps. 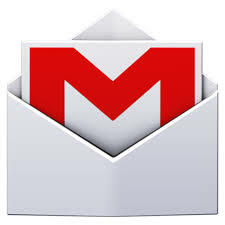 Most people are familiar with Gmail and might have a personal Gmail account. GAFE provide everybody in the school with an email address, normally name@schoolname.co.za. In the beginning, it might be strange to have two email addresses, but all over the world, people realise that separating your work and personal accounts are the best way to go. Another advantage of a school email address is that everybody in the school is automatically included in your contact list and appear the moment you start typing their names. You can also create email groups, which simplify communication significantly. Very few of the entries in one’s diary does not involve at least one other person. 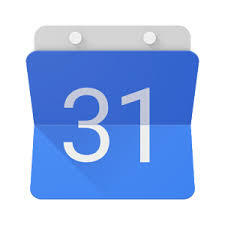 The collaborative feature of Google Calendar makes it easier to make sure that everybody has the correct information. Once you have created a school calendar, everybody in the school can add it to their devices, and they will have all the up to date information at the tips of their fingers. This calendar can also be shared with parents and embedded in your website. Classroom also automatically add a calendar for each student, which means all their assignments are automatically on their calendar. Most of you have used a flash drive to save documents and maybe transfer documents from one computer to another. 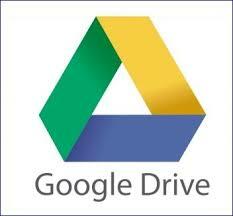 Google Drive is a virtual version of a flash drive. It is a space in the cloud that Google allocate to your account, where you can save any type of file. The advantage of a cloud drive is that you can access it from any device as long as you are connected to the internet. Before you get too worried, you can also edit documents offline; once you connect to the internet again, Drive will sync the changes. One of the added advantages Google Drive is that you can share a file or folder with another account. For example, I can create a folder and share it with my class. Every learner in the class will have immediate access to all the files in the folder. A personal Google account has a capacity of 15Gb, but an educational one is unlimited, so you never have to worry about your Drive being full. If Drive is like the filing cabinet, Classroom is the secretary doing the filing. It enables you to share resources with everybody in your class, with the added advantage that Classroom automatically saves the files in the learner’s Drive. Classroom is your one-stop-shop where you can share information with students and learners can share information with you. It is important to understand that no files are created in Classroom (you do that in Docs) or saved in Classroom (it gets saved in Drive) Classroom is just the road that the information travel. 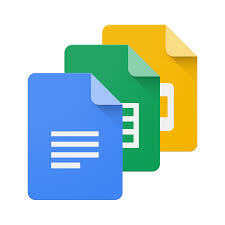 GAFE also includes a set of “Office”-like tools, Docs (similar to Word), Sheets (similar to Excel) and Sheets (similar to Powerpoint). Microsoft Office was created with a business in mind; especially Excel includes a lot of features that most people do not even know exist. The GAFE apps do not have all these features, which make it easier to navigate. But more important is the collaborative features they do have. Collaboration is becoming more and more important in the 21st century, and Google designed their apps with this in mind. If you are used to Office, it might take you a while to get used to the Google approach. For example, Google automatically saves everything you do. There is no “Save As” button. You will also not find a button to rename the file, if you want to change the file name, all you do is click on the name, and you can change it. But the biggest difference is how you share files. If you attach a file to an email, a new version of the file (as it is at that moment) is created on the recipient’s computer, if they make changes and send it back you now have two files, this can get very confusing very quickly. When you share a Google Doc, on the other hand, it does not create a new file. Since the original file is saved in the cloud, when you share it, it links the recipient to the original file. That means that you can see any changes they make in real time. If you realise that, you still wanted to add something to the file, but you have already sent it. No problem, since the recipient sees the same file you are working on, you just make the changes. An enormous amount of time can be saved by not sending files to and fro, but rather get everybody to work on the same file. Added to the core set of Apps a Google Account also gives you access to apps like Google Drawing, Google Forms and Google Keep. I will cover them in tomorrow’s post.